Are you feeling stressed about an upcoming dental appointment? Millions of Americans have fears about going to the dentist. However, these fears can cause bigger issues with your teeth and gums. Poor oral health can lead to cavities and cause toothaches. Toothaches can lead to poor nutrition due to the fact that chewing can become painful when the teeth and gums are not healthy. Furthermore, research suggests that gum disease can lead to other health issues including a greater risk of heart disease. Therefore, good oral practices include visiting your dentist regularly. 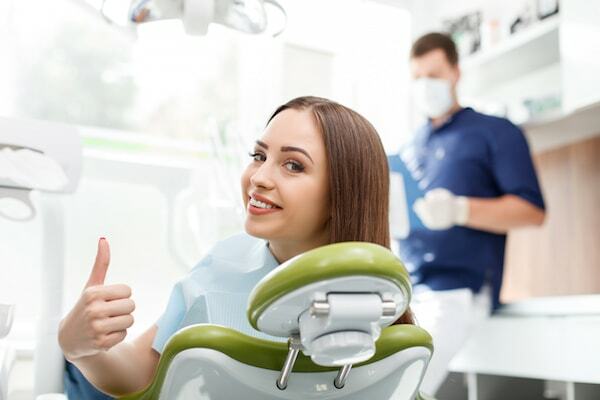 If you are apprehensive about going to the dentist, you can lessen some of the stress by following these 10 tips to help you feel more comfortable at the dentist. When seeking a dentist, ask friends and family for their recommendations. They are not likely to recommend a dentist who makes them feel uncomfortable. You can also find a reputable dentist by checking online reviews. In addition, ask for an interview so that you can speak to the dentist about your concerns. Whenever you are seeking a dentist for a child, you should consider using a pediatric dentist. Write down any questions or concerns you might have and take this list with you. It is easy to forget what you wanted to ask so the list is helpful. Sometimes it is easier to give the list to the dentist and they can talk to you about each issue. Talking to your children about what they can expect during a dental visit can help lessen any nervousness they might be feeling. Describe the process in which the teeth will be cleaned and checked for cavities. You can also go to your local library and check out a picture book to help young children understand the process. Speak to the dentist beforehand to let him know about your child’s apprehension with visiting the dentist. Also, if your child has difficulty sitting still or sensitivity to lights and sounds, talk to the dentist in advance to make sure they can accommodate your child’s needs. You should find out if your drinking water contains fluoride. Fluoride helps to protect the teeth against tooth decay. If your drinking water does not contain it, the dentist might suggest using a mouthwash that contains fluoride in addition to regular flossing and brushing. Prior to your appointment, gather all your dental records, x-rays and insurance information and bring them to the appointment. If this appointment happens to be a new dentist for your child, let your child get involved as much as possible. Allow the child to hand the records to the dentist or secretary. Be sure to disclose all health issues including bleeding or clotting problems. Also, let your dentist know about any allergies you have including latex and medications. If there is a chance you might be pregnant or if you are nursing, you will want to avoid x-rays and certain dental procedures. Some dental practices have multiple hygienists. If a particular hygienist makes you feel more comfortable, or your child responds well to the person, be sure to have the name of the hygienist added to your file so you can request that hygienist for your next checkup. After your appointment is over, it is best to schedule your next one immediately. During the exam, the dentist will be looking for cavities as well as signs of decay, gum disease and oral cancer. It is easier to keep follow-up appointments if they are already scheduled. Encourage your child to brush their teeth twice a day, floss daily and maintain a healthy diet in order to sustain proper dental care between checkups. The better you and your child cares for the teeth, the smoother your dental appointments will go.